The Department of Management Studies offers a Bachelor of Business Administration Programme, which is specifically designed to bring in a comprehensive understanding of the Principles and theories of management practices. The main advantage of BBA programme is that aspirants can pursue the MBA programme after completing the same. They can specialize in their desired disciplines. 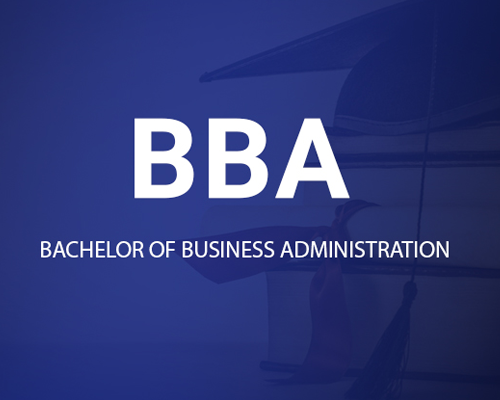 The BBA course offers an opportunity to acquire Professional skills in the early stage of their career as a management professional. This undergraduate course offers a deep understanding and development of important business skills such as leadership, communication skills, critical thinking and decision making.